An abundance of healthy collagen is what gives skin a smooth, supple, youthful appearance. Natural collagen begins to break down as you age, causing skin laxity, wrinkles, and a loss in facial volume, which can make your skin look and feel old. The best way to refresh your appearance is by replenishing the volume your skin has lost. This diminishes wrinkles, resulting in a much more youthful look. Radiesse® Volumizing Filler is an ideal choice. In addition to providing immediate volume correction, it also stimulates production of your own natural collagen – something no other filler does! The result is both immediate and long lasting. 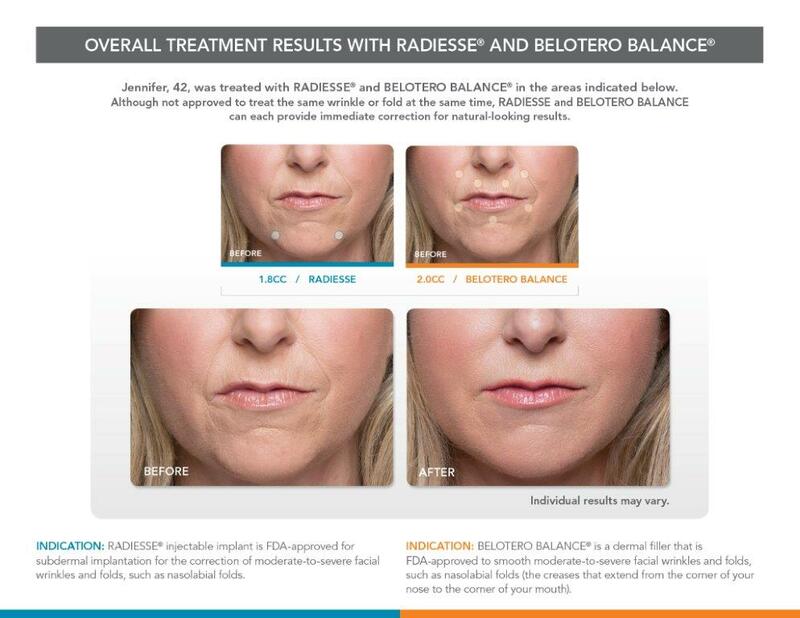 Upon injection, Radiesse® Volumizing Filler immediately provides the lift needed to diminish signs of aging because of the calcium-based microspheres and gel that comprise the product. But what’s unique about Radiesse® Volumizing Filler is that it acts as a scaffold under the skin, providing structure and stimulating your own natural collagen to grow. The natural collagen growth continues for several months, which extends the initial effect of Radiesse® Volumizing Filler. In many patients, correction lasts for a year or more! 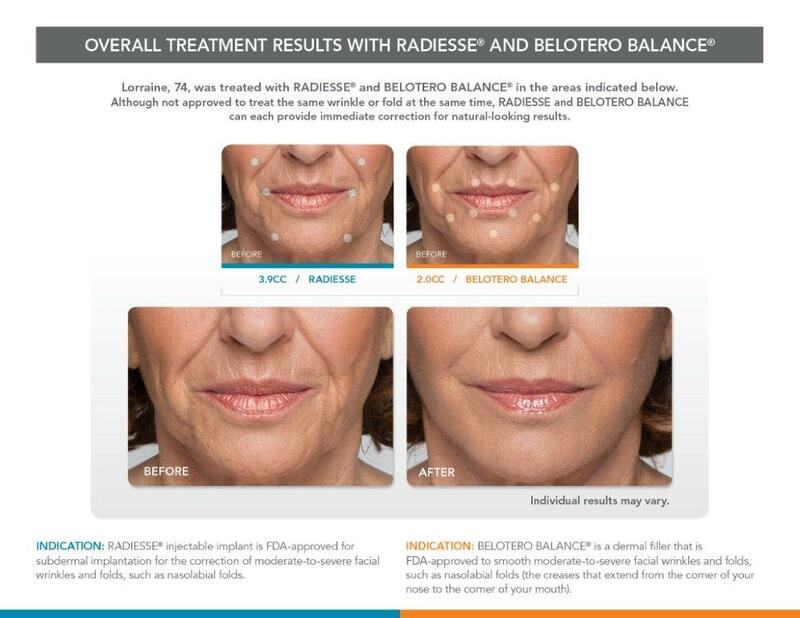 Radiesse® is a safe, effective and nonsurgical method which has been FDA approved for mixing with lidocaine, a kind of anesthetic. You no longer have to dread the pain of injection but instead experience a significantly more comfortable treatment. There is very little to no down-time involved in a Radiesse® procedure. In fact, most patients return to their normal, daily activities right after their visit, although many patients experience some bruising. To find out if Radiesse® is right for you, schedule your appointment with Dr. Brown today.